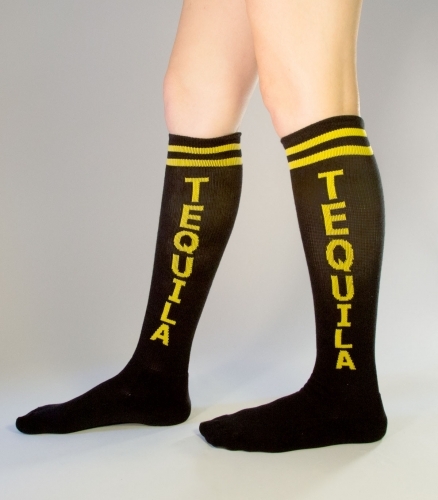 One tequila, two tequila, three tequila…socks. Ever had a rough night with Mr. Cuervo, and swear you’ll never pick that bottle up again? You’re not alone. When that desert demon calls your name again, and you feel your will getting weak, slip into these socks and admit defeat. Anyone that loves the nectar of the agave will love these socks. They’ll wear them with pride as they pound shot after shot. Later, they’ll be comfy and cozy while crawling to bed. 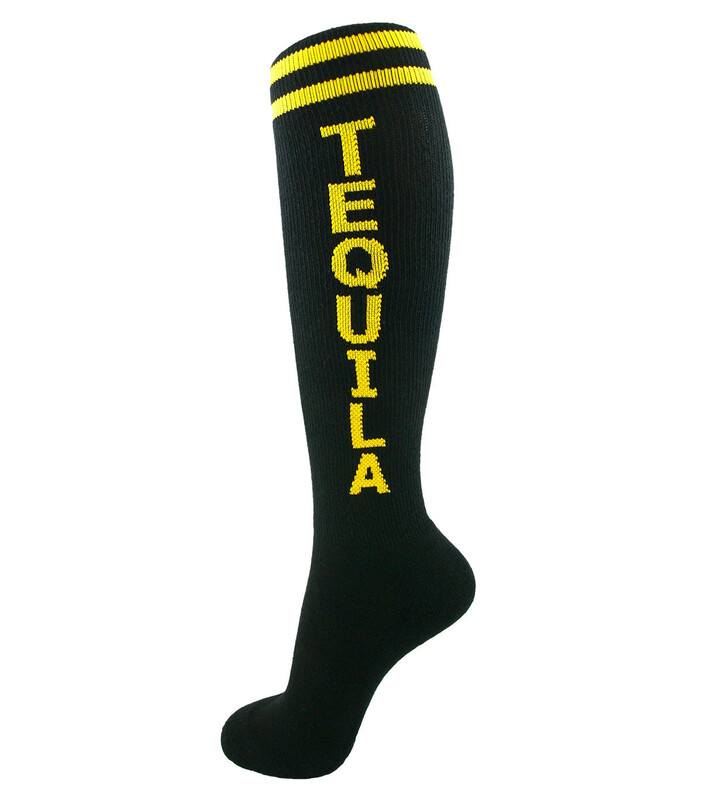 Tequila Socks fit women’s shoe sizes 7 - 11 and men’s shoe sizes 7 - 13. They’re made from a 75% cotton, 20% nylon, 5% spandex blend.